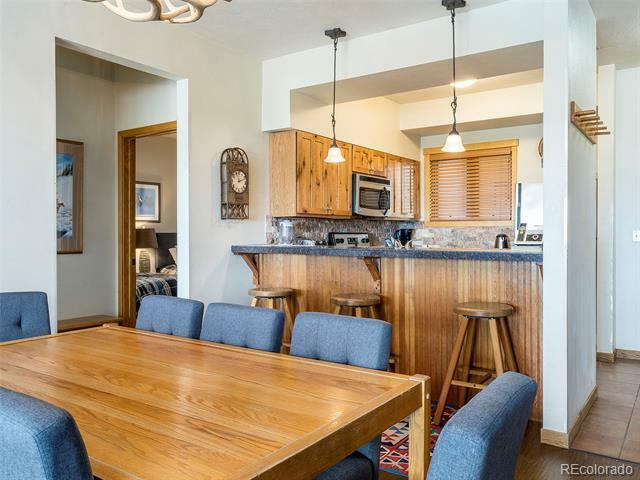 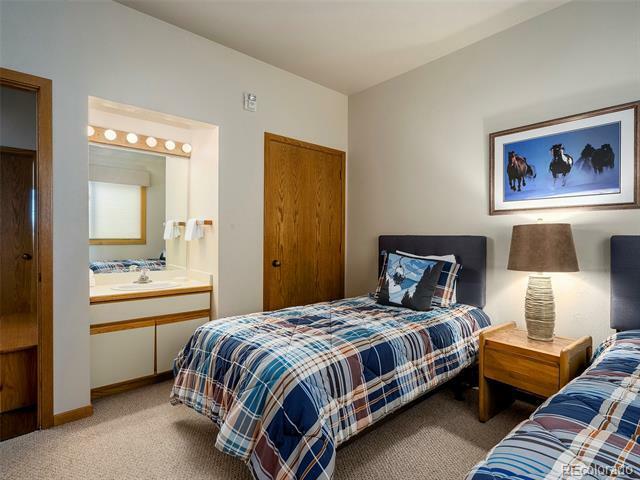 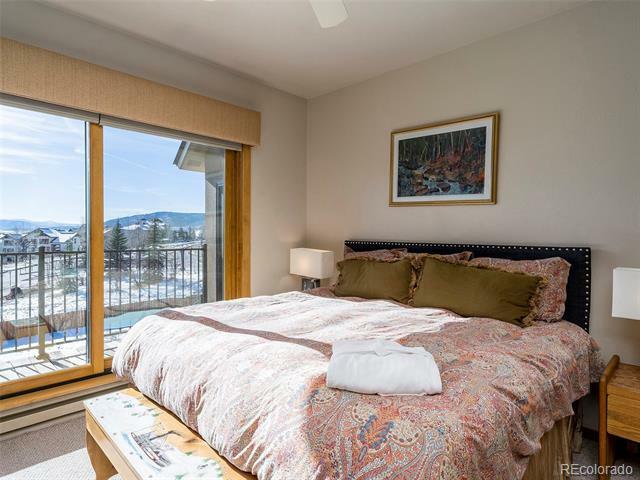 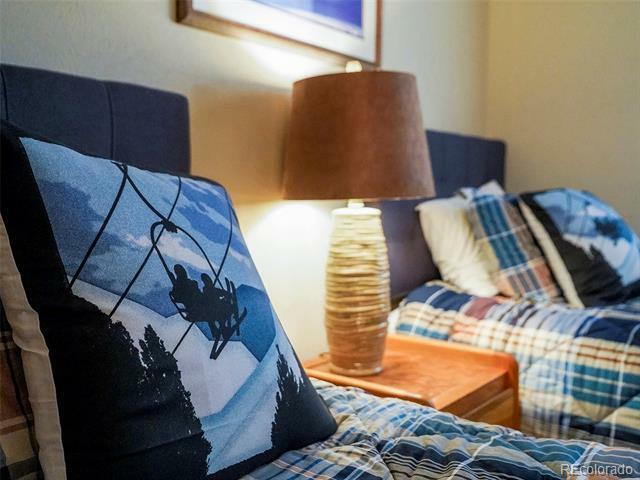 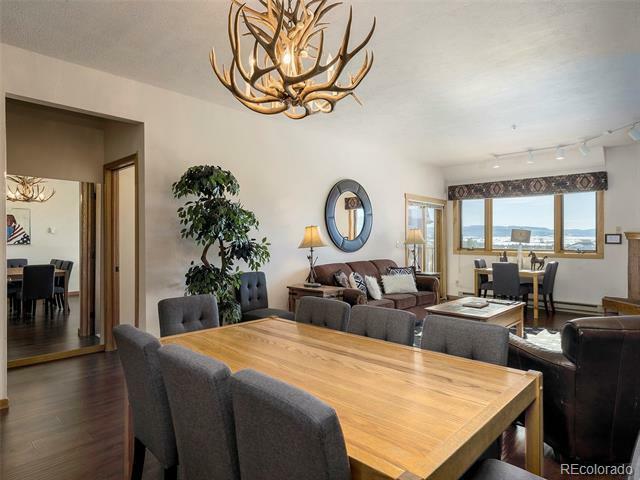 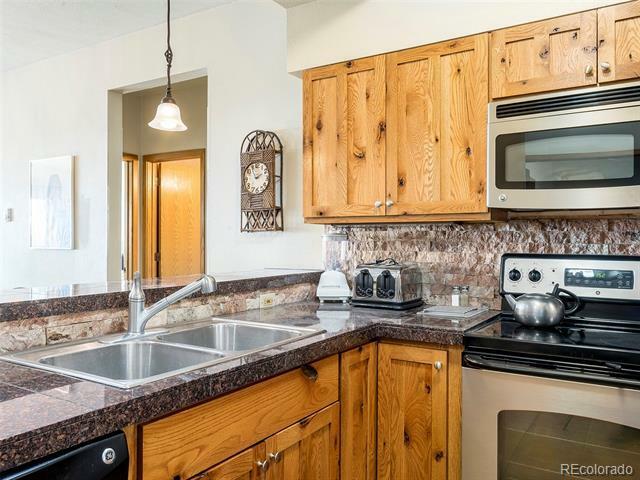 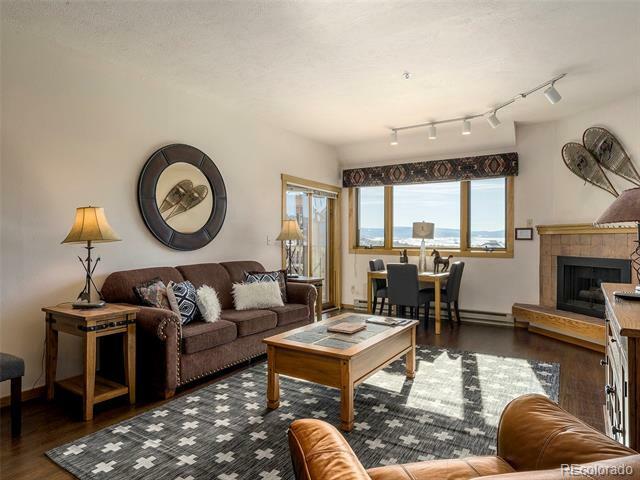 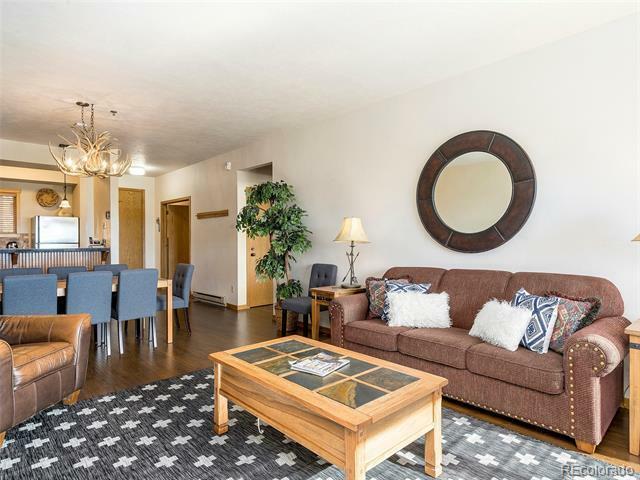 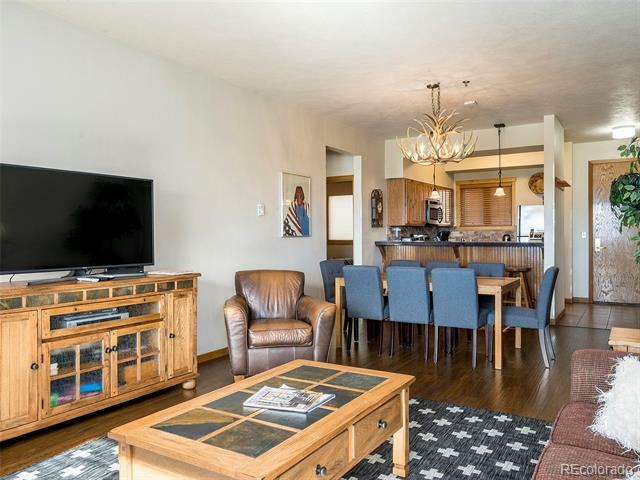 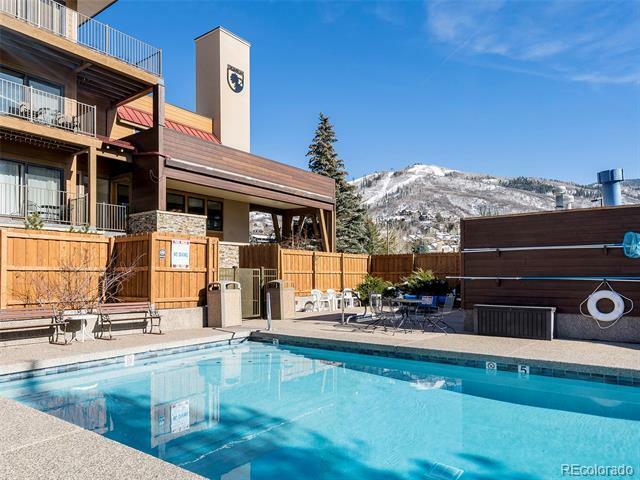 This top floor fully-furnished ski condo at the base area's Snowflower condominiums has a brand new kitchen with alder cabinets, granite counters, tile floors, pendant lighting and stainless appliances. 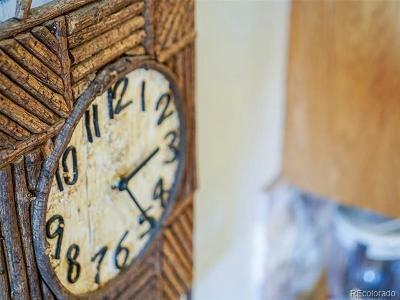 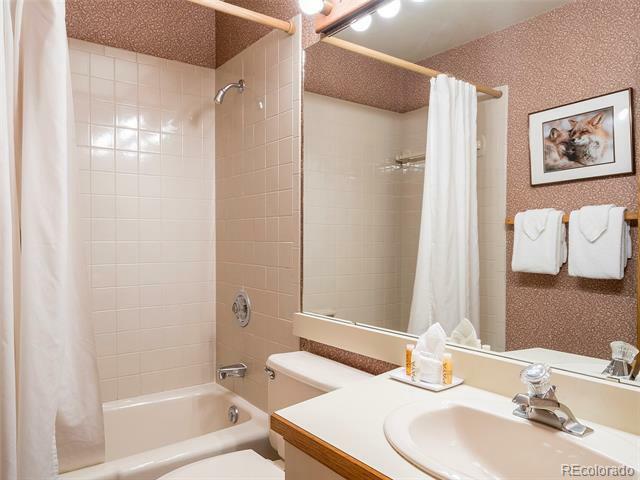 Other updates include new décor, paint and flooring. 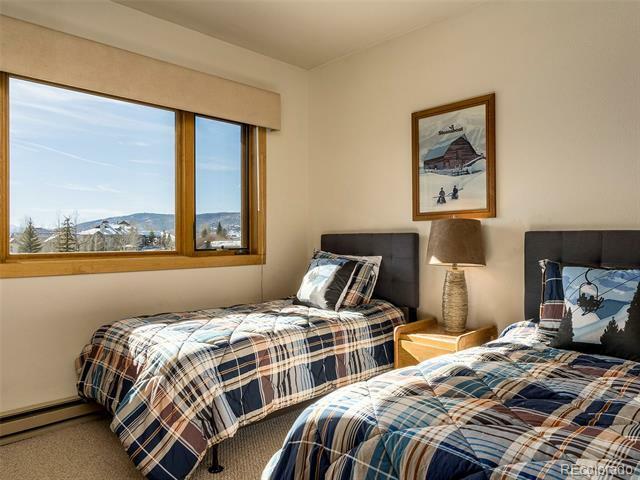 The Snowflower building underwent a complete exterior remodel in 2015 with all new windows, sliding doors, decks and stone added, making this building stand out as a stylish revived destination at the Steamboat base area. Inside the unit, the large main living area right off the kitchen is an open and bright social space ideal for bringing family and friends together. 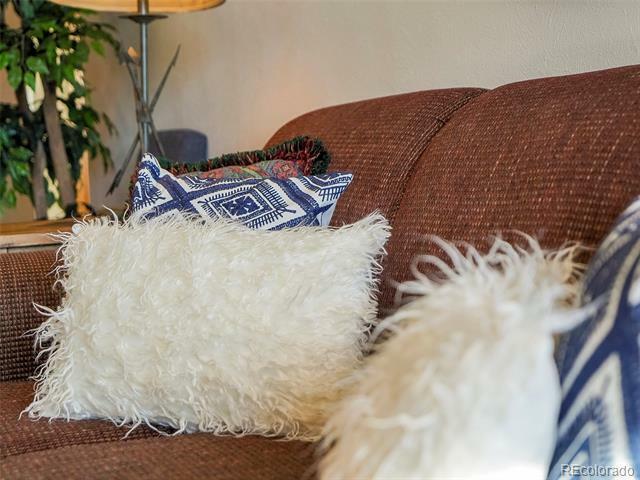 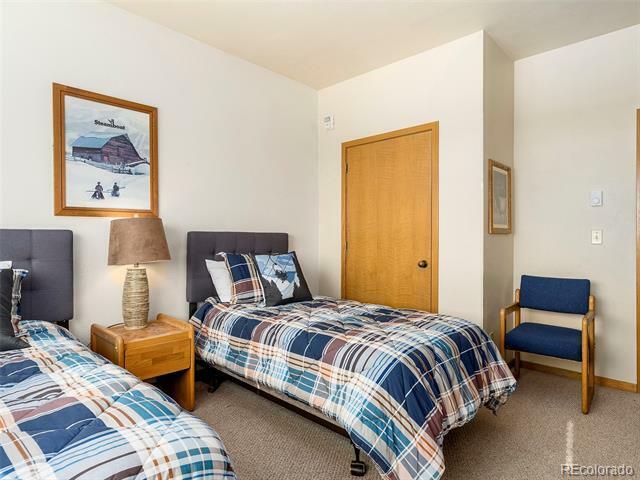 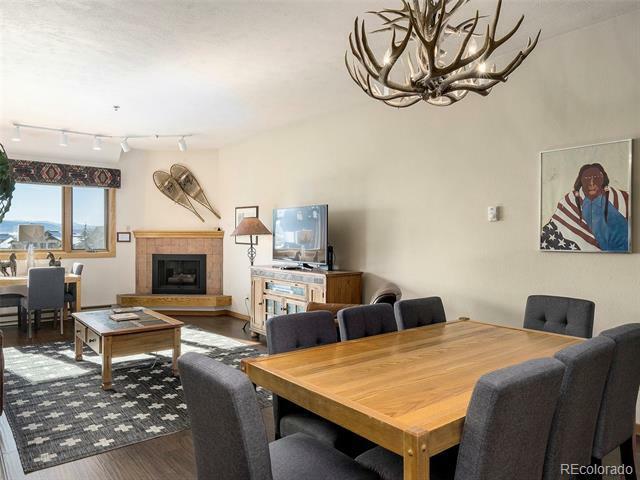 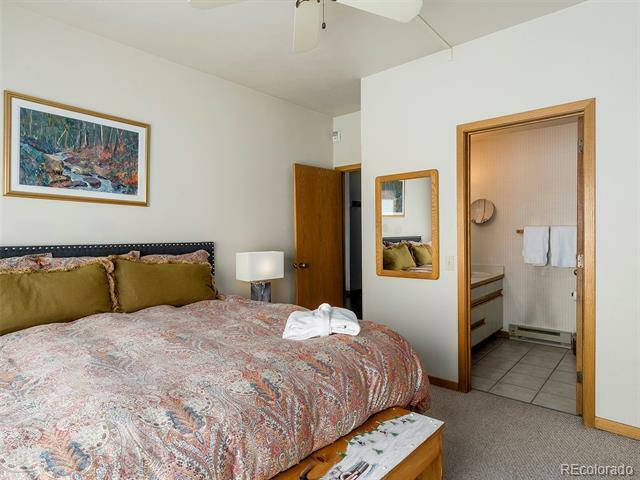 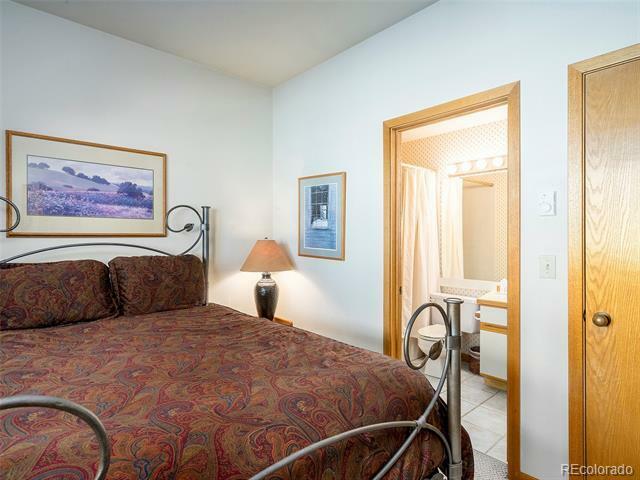 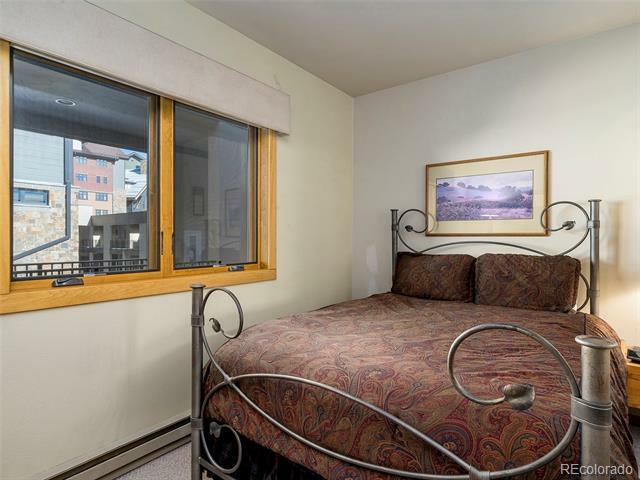 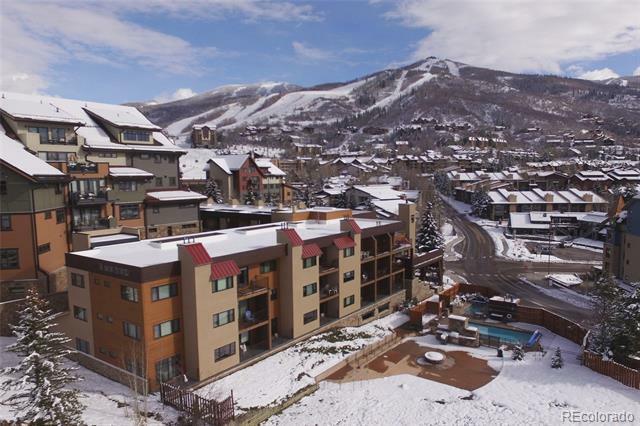 Just a minute's walk to the gondola, this condo is truly right at the base area with sweeping views of the Yampa Valley and Flattops Mountains. 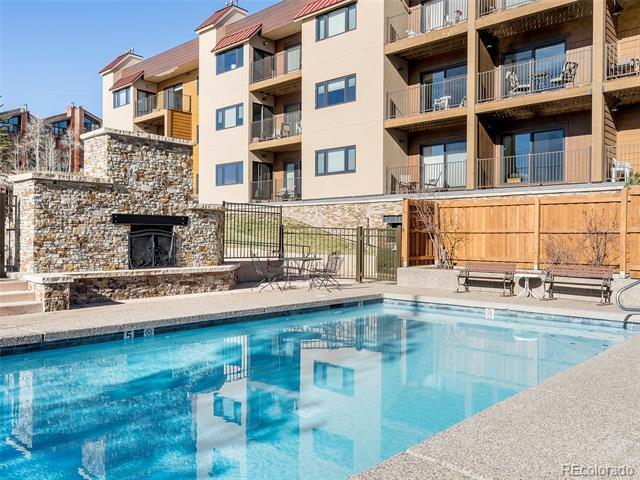 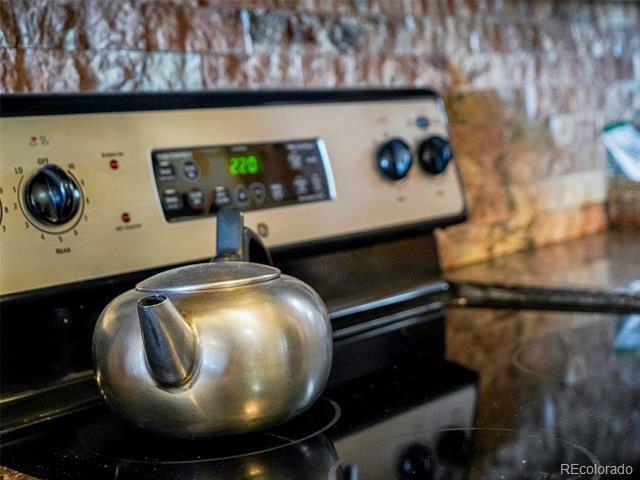 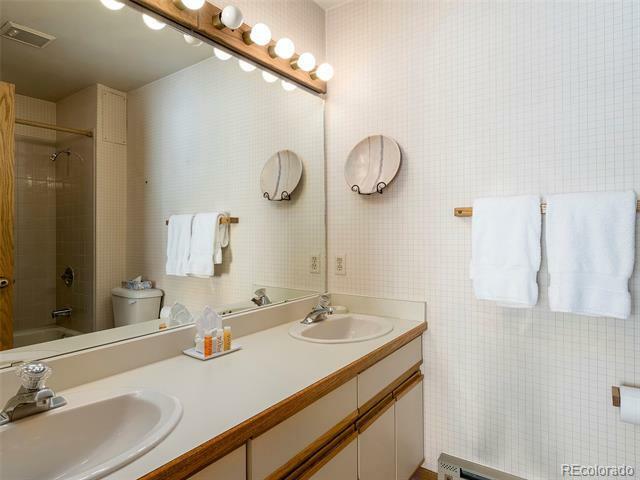 Amenities include on-site check-in, outdoor heated pool, hot tub, outdoor fireplace & lounge and covered parking. 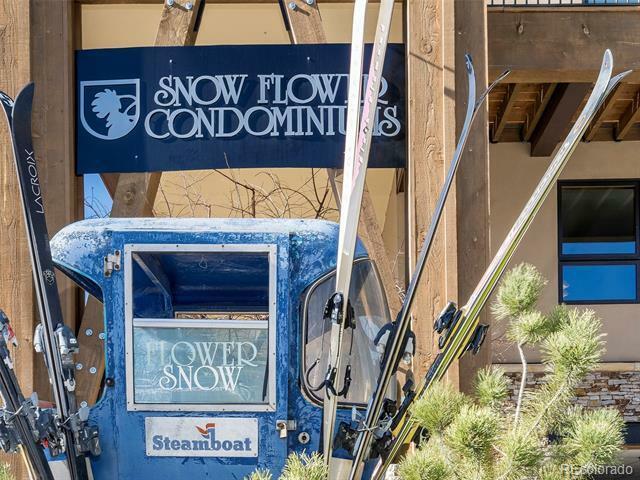 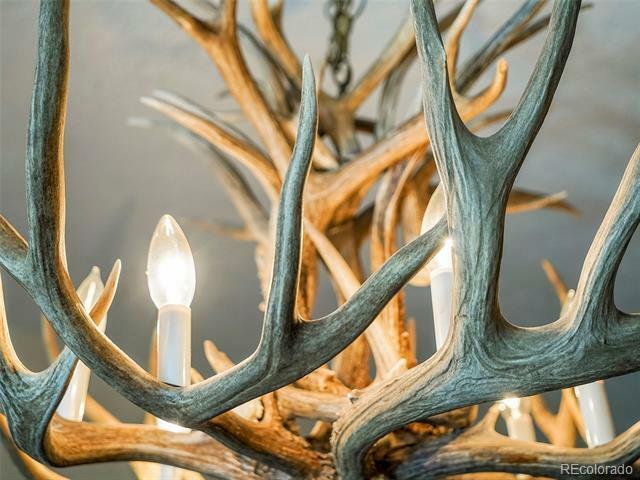 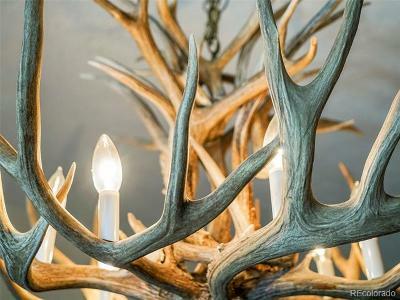 These attributes make the Snowflower a sought-after vacation destination with direct access to the mountain.